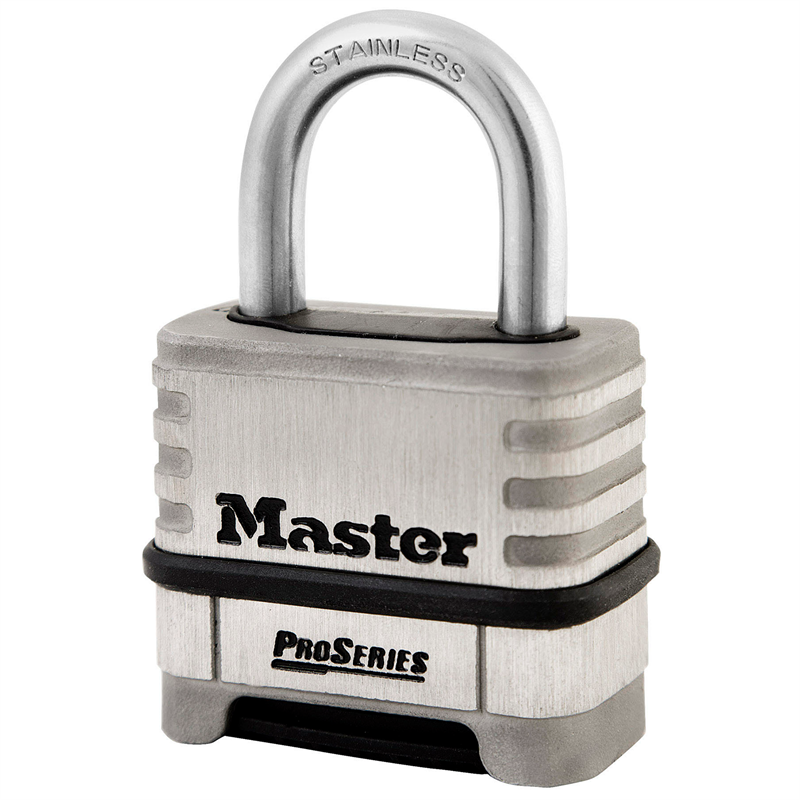 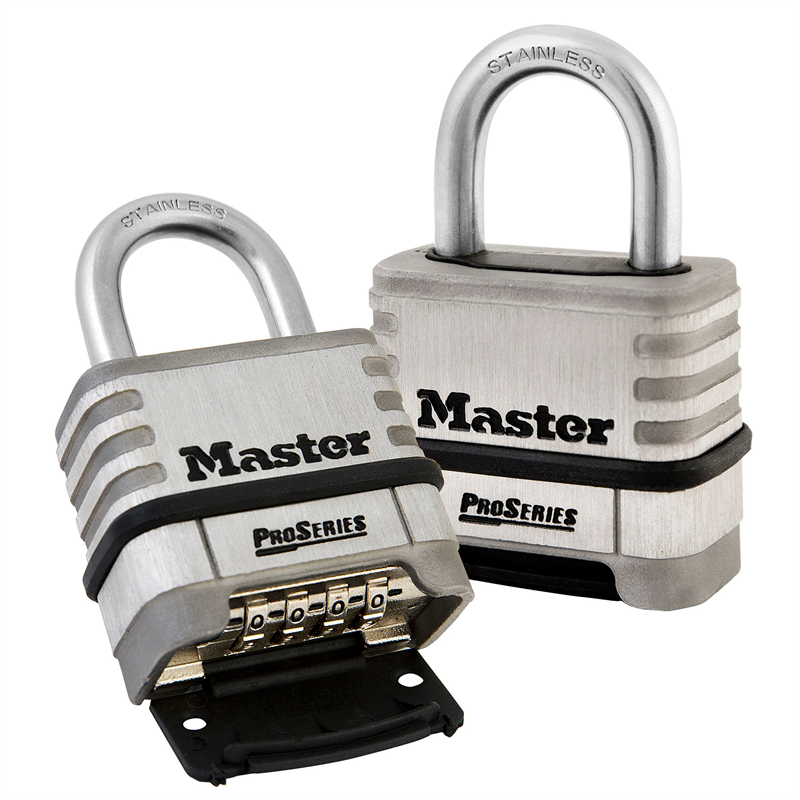 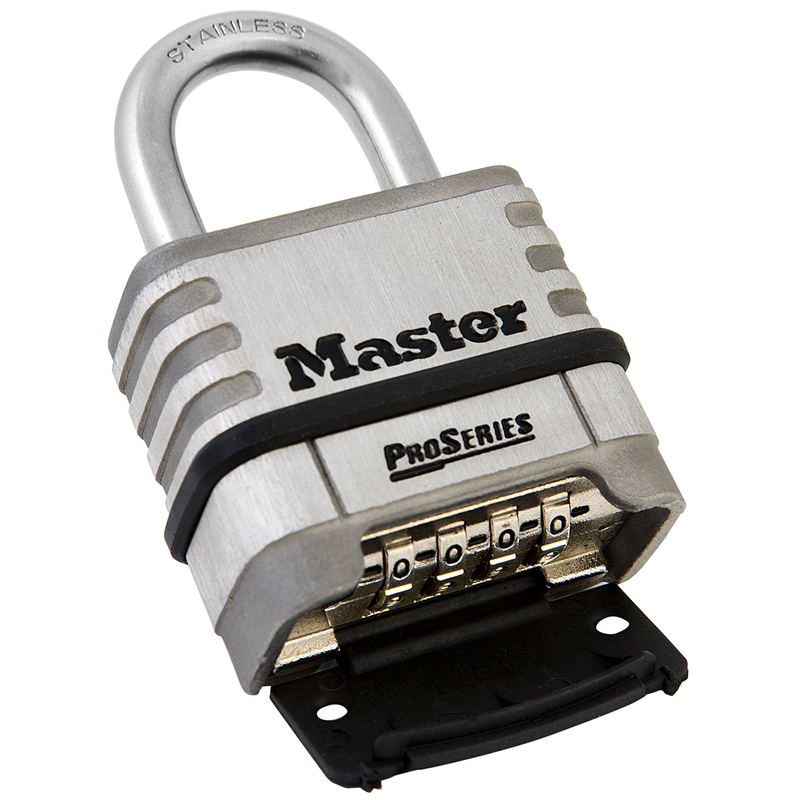 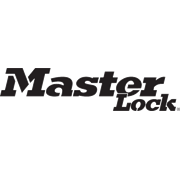 Master Lock 1174D ProSeries® Resettable Combination Padlock is designed for commercial/industrial applications and features a 57mm wide stainless steel body and a 28mm tall, 8mm diameter stainless steel shackle for extreme corrosion resistance. 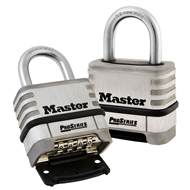 A set-your-own combination feature offers convenience and security with 10,000 possible combinations – no reset tool required – and a deadlocking mechanism protects against prying, shimming and rap attacks. 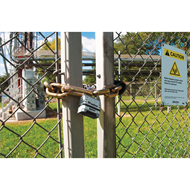 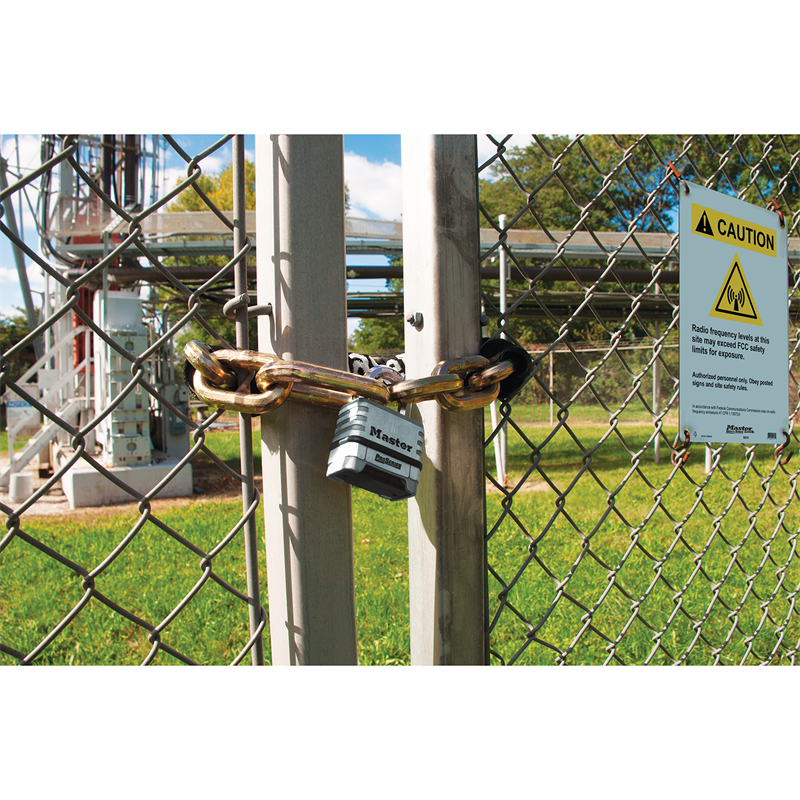 Deadlocking mechanism protects against prying, shimming and rap attacks. 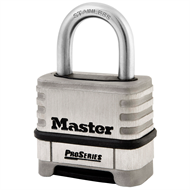 Shackle seal and dial dust cover protect internal components and dials for trouble-free operation.